PRODUCT DESCRIPTION: For more "extreme" infestations or conditions, this commercial/industrial design is ideally suited for a warehouse or store room but can be used in the home too. 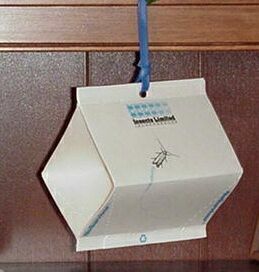 The included traps are larger, stronger and able to endure more abuse common to the commercial environment. This design features twice the surface area of the other traps and is constructed of heavier cardboard. 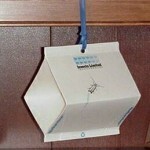 It is packaged in bulk with 48 traps, 48 pheromones and 48 tie on hangers per box. WHERE TO USE IT: Excellent for food processing plants, pet food stores, health stores, coffee shops, bakeries and supermarkets but can be used in the home too.